One of the earliest memories I have is from when I was four years old. I would sneak out of my bedroom so I could peak around the corner in the living room and watch The X-Files as my mom was watching it. One would assume that a four year old watching The X-Files would traumatize me but instead I was fascinated. I was not too stealthy however, and eventually my mother caught me. Because I was not having nightmares over the show she gave in and let me watch it with her. Perhaps this began my love of science, alien movies, and wondering about the great unknown. 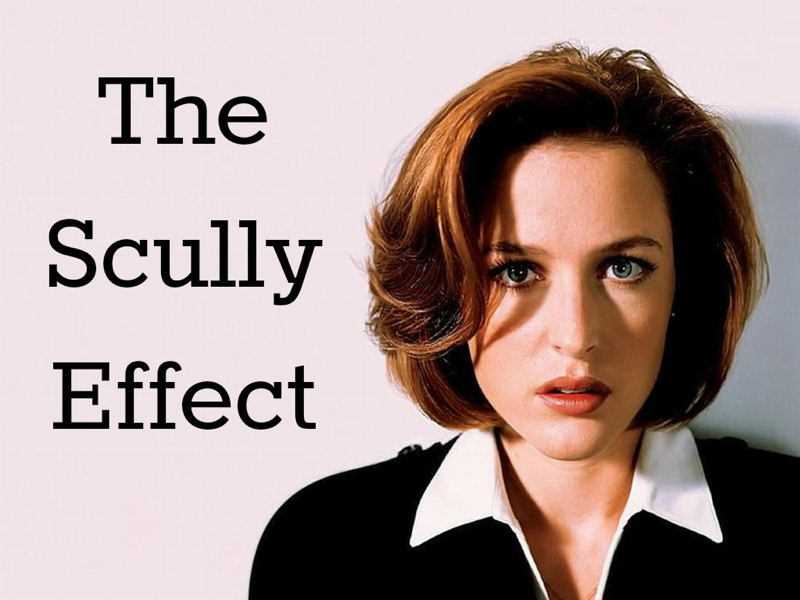 After the reboot of The X-Files a few years ago, I recently discovered there was something called “The Scully Effect”. One of the two main characters of the show is Special Agent Dana Scully. Scully is an M.D. who is assigned to work with another agent on X-Files and use her knowledge to be objectively solve cases. In 1993 when the show aired, it was a revelation to have a woman who was a scientist as well as an authority figure. The show broke all the gender norms and it showed young girls that they could aspire to be in law enforcement and STEM fields. “A reported increase in women entering law enforcement and STEM fields was attributed to the character, and named The Scully Effect. After an additional 25 years of study, the reported impact of The Scully effect can in part be understood in terms of how children and teens build their view of the world around them through media consumption” (thescientificparent.org). Instead of watching cartoons I watched The X-Files, and as an adult I continue to enjoy the show.